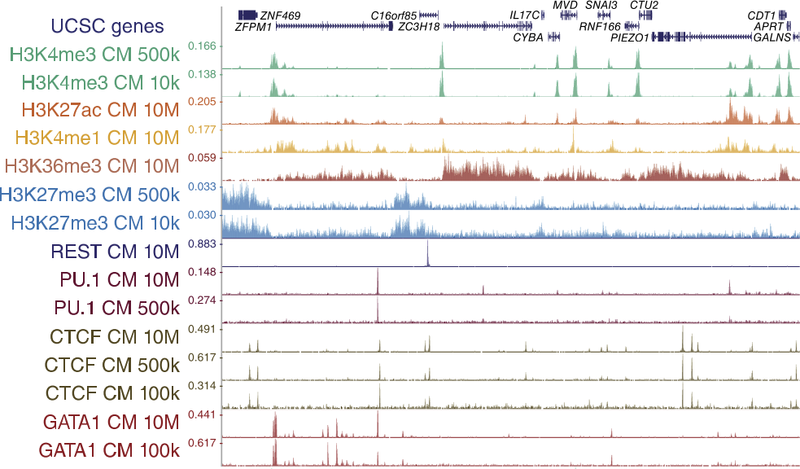 Chromatin immunoprecipitation followed by sequencing (ChIP-seq) is widely used to map histone marks and transcription factor binding throughout the genome. 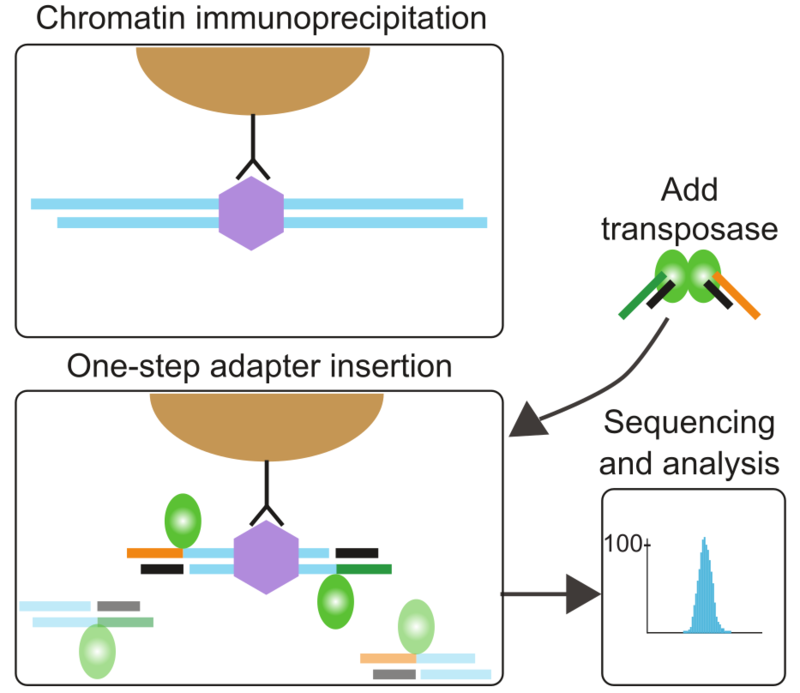 Here we present ChIPmentation, a method that combines chromatin immunoprecipitation with sequencing library preparation by Tn5 transposase (‘tagmentation’). ChIPmentation introduces sequencing-compatible adaptors in a single-step reaction directly on bead-bound chromatin, which reduces time, cost and input requirements, thus providing a convenient and broadly useful alternative to existing ChIP-seq protocols. This section provides updated ChIPmentation protocols. ChIPmentation v1.14 28th September 2016 Step-by-step protocol. 52 libraries were sequenced for ChIPmentation, 24 libraries for standard ChIP-seq, nine libraries for ChIP-tagmentation, and two libraries for ATAC-seq. Click here to add the track hub to UCSC Genome Browser. To foster reproducibility and facilitate reuse, the source code underlying the analysis is contained in a Git repository at Github. No journal subscription? Ask us to send you the PDF.